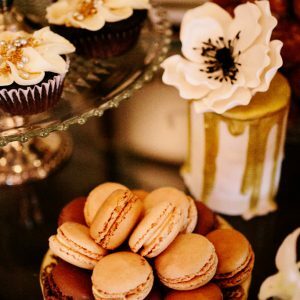 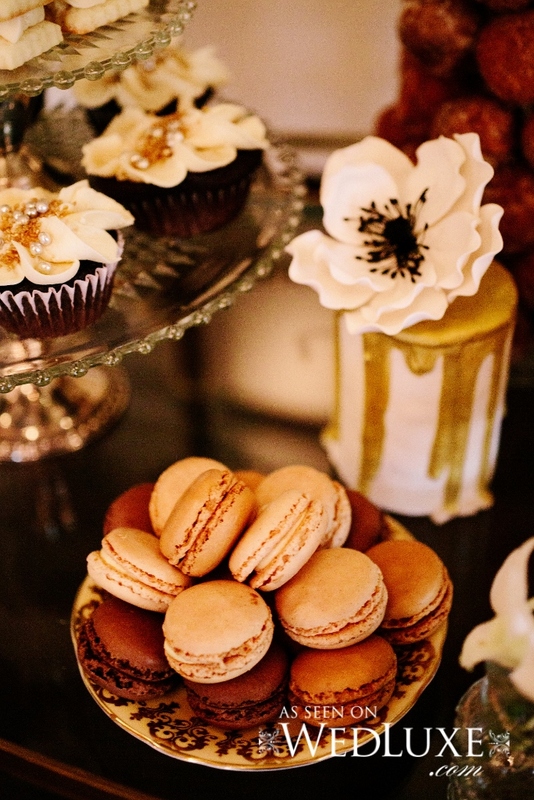 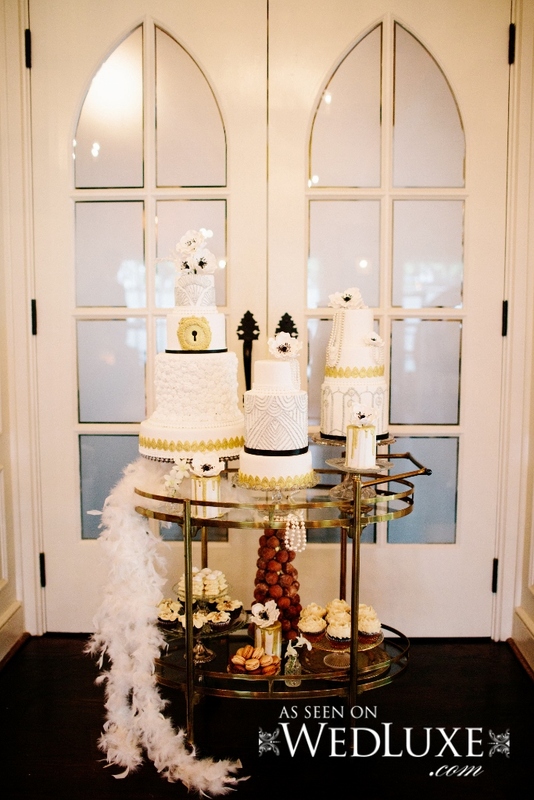 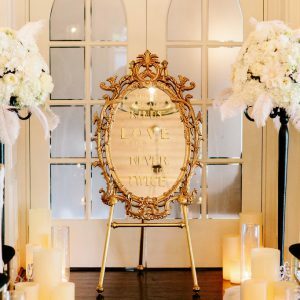 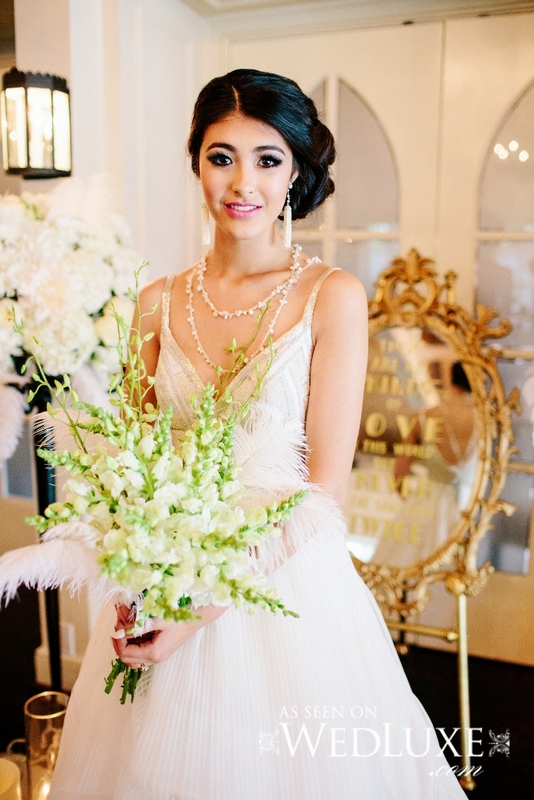 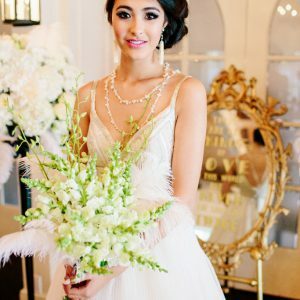 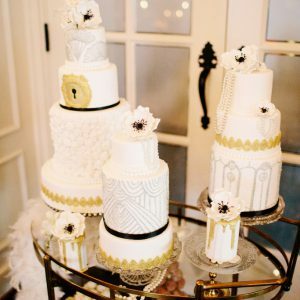 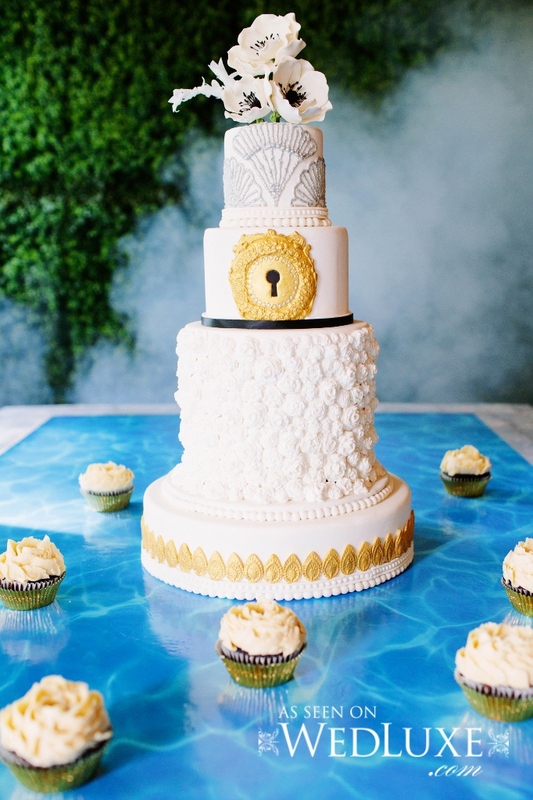 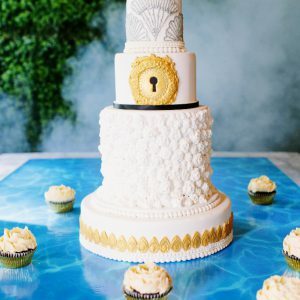 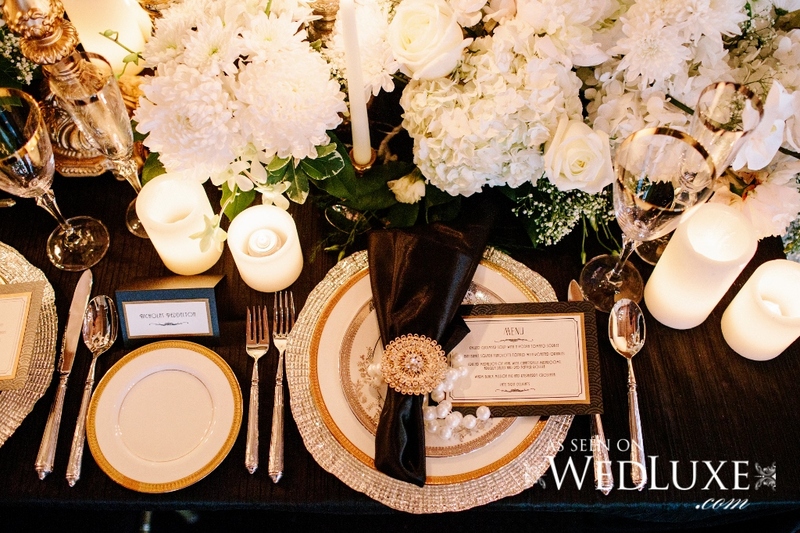 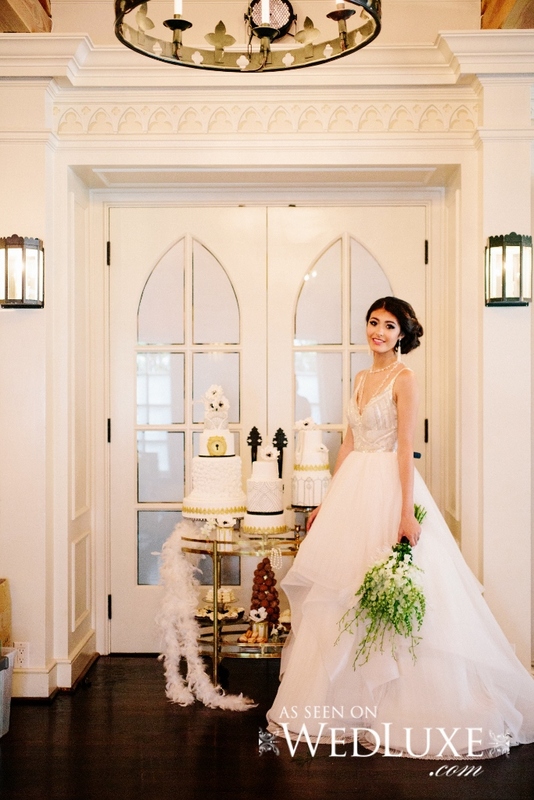 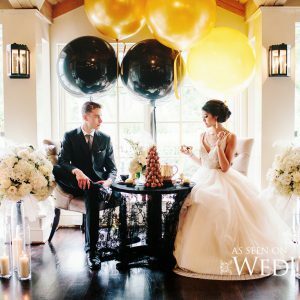 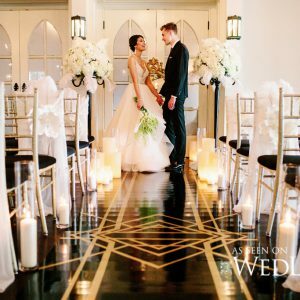 If you love all things Gatsby and dream of channeling Daisy Buchanan on your day, this shoot is for you! 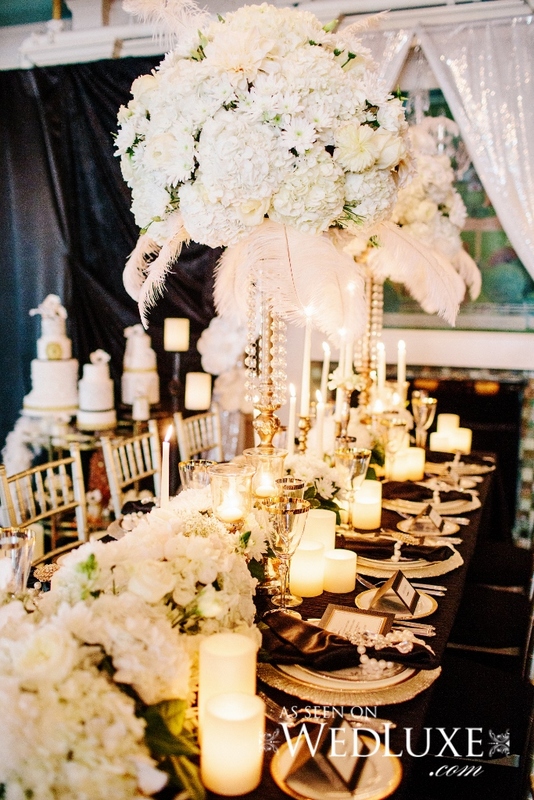 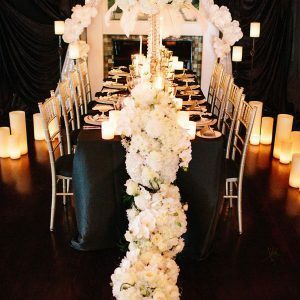 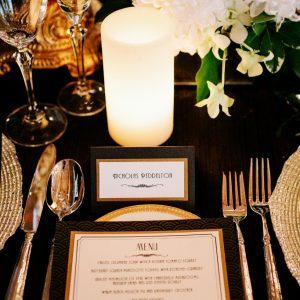 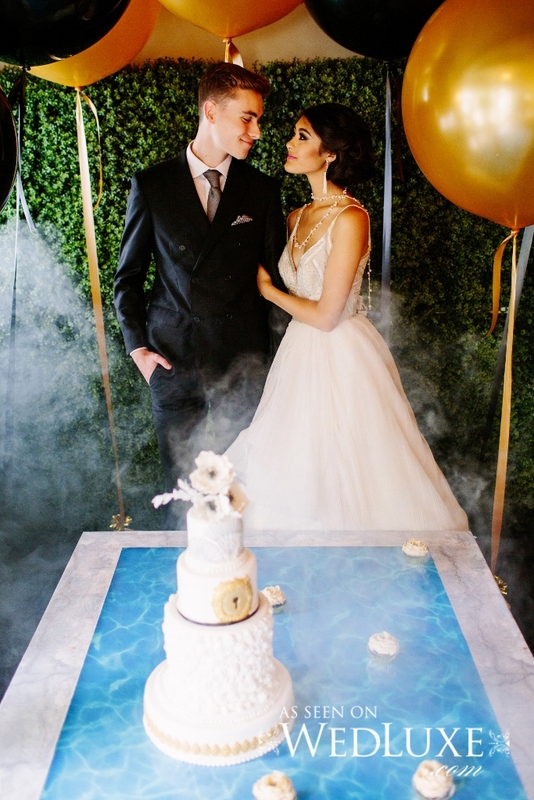 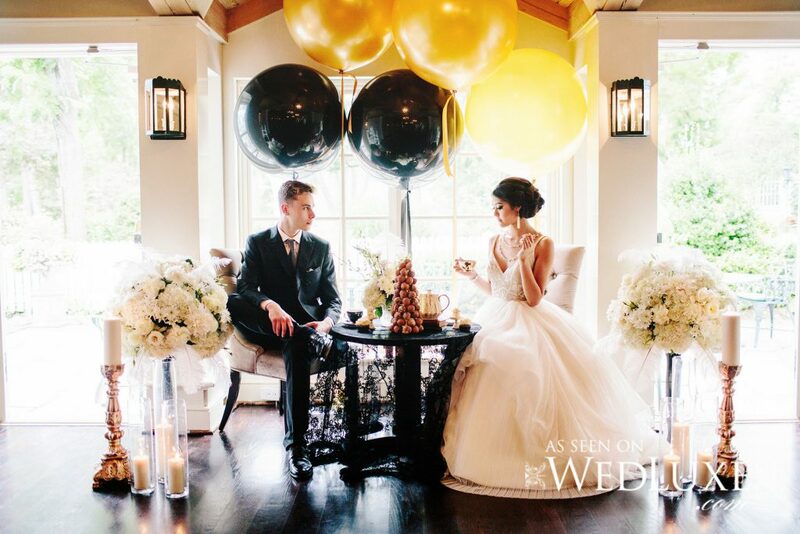 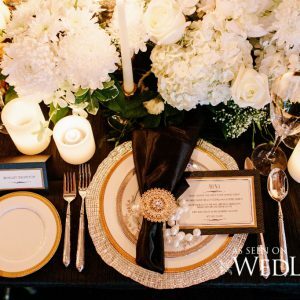 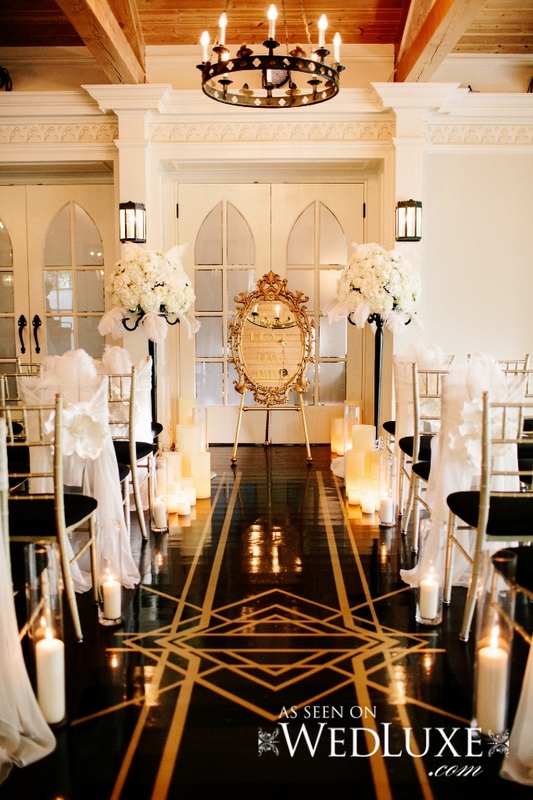 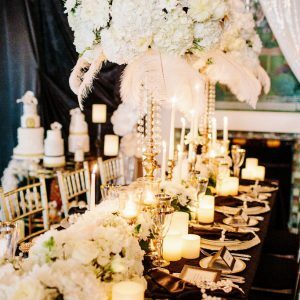 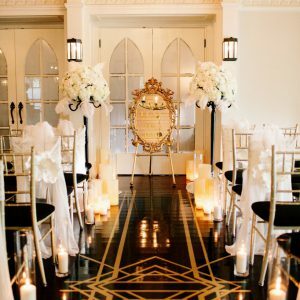 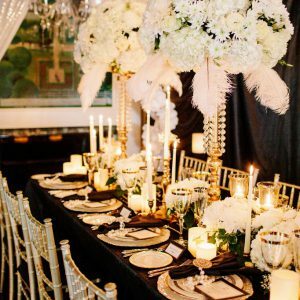 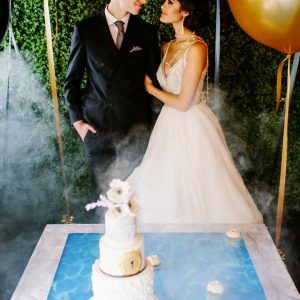 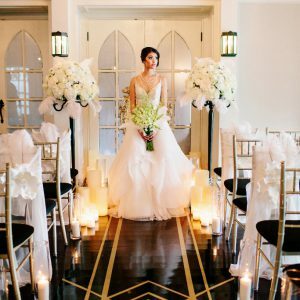 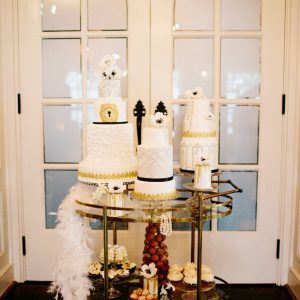 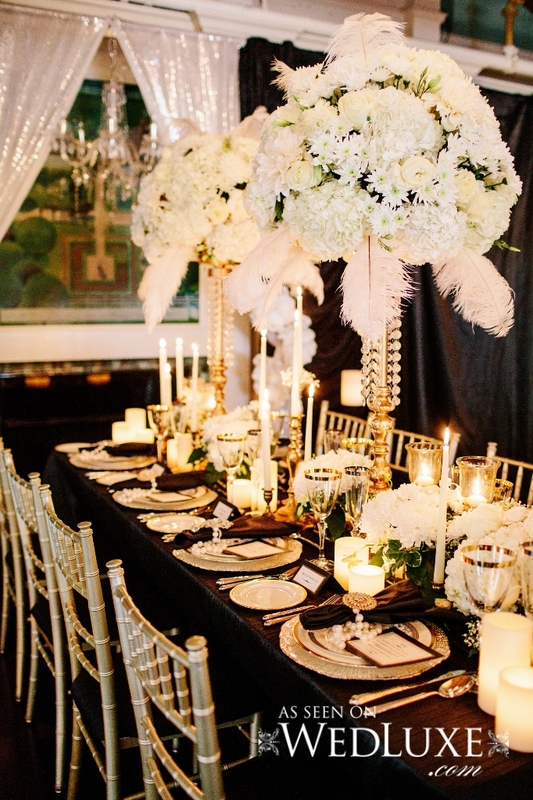 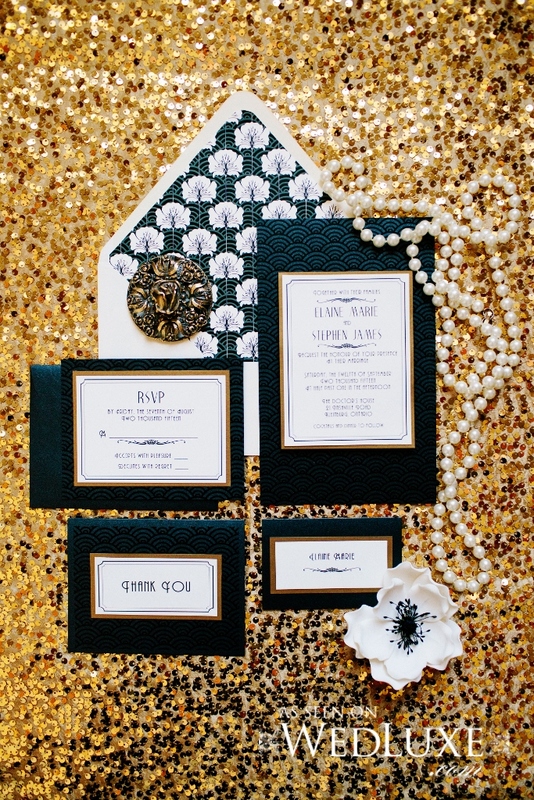 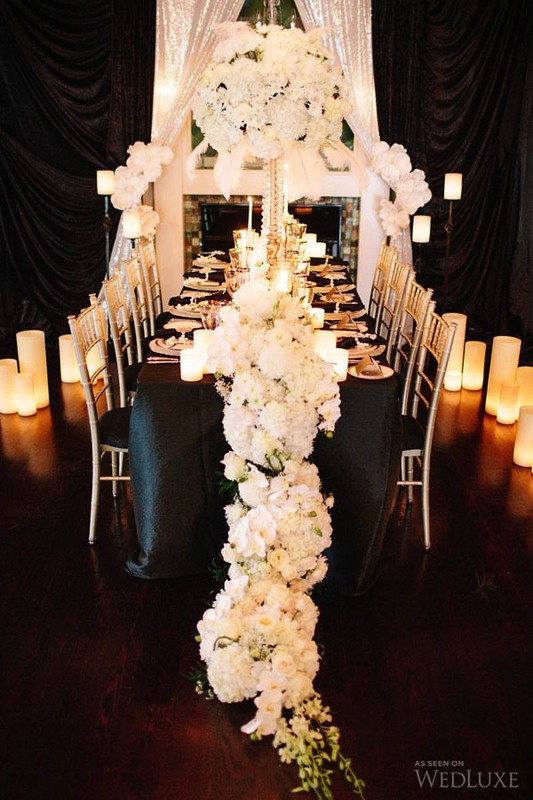 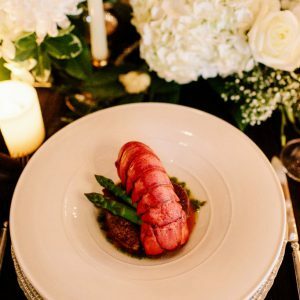 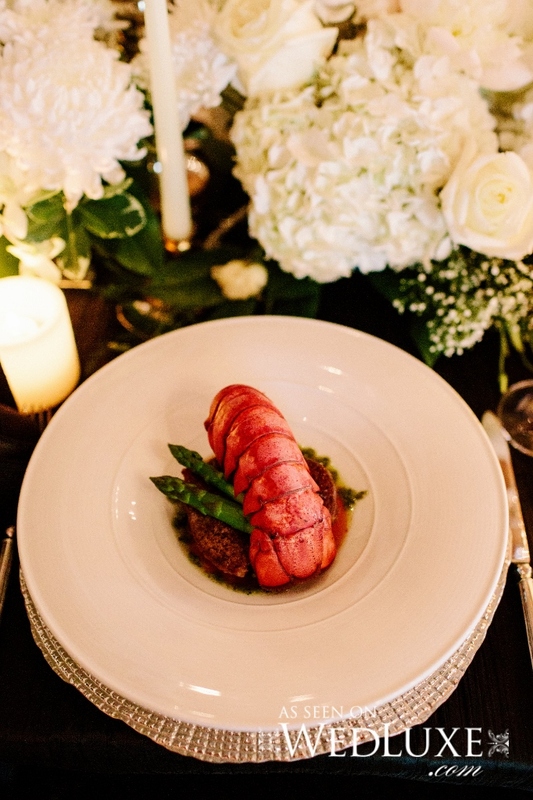 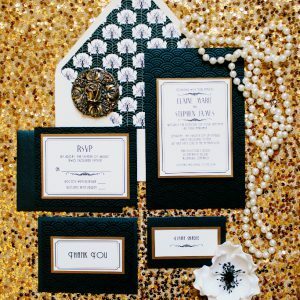 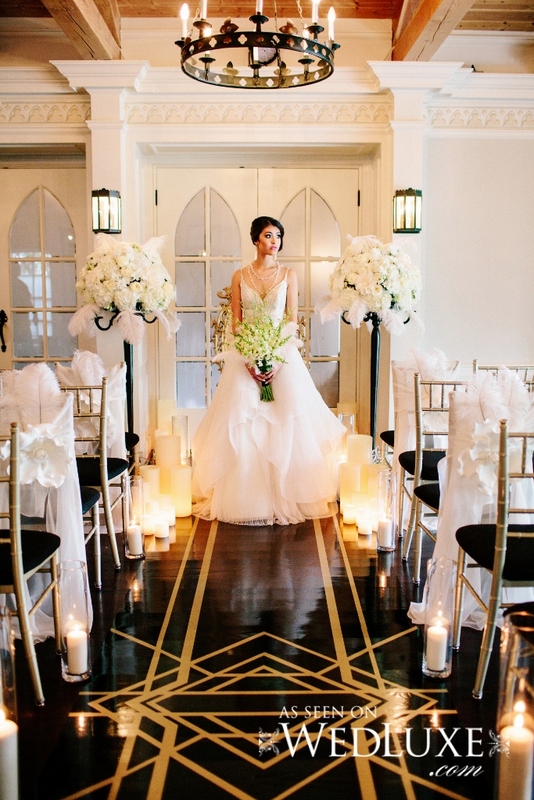 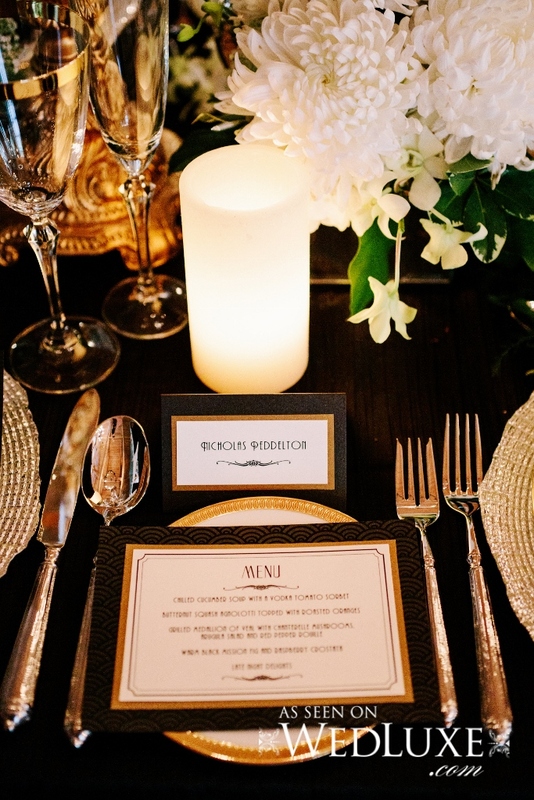 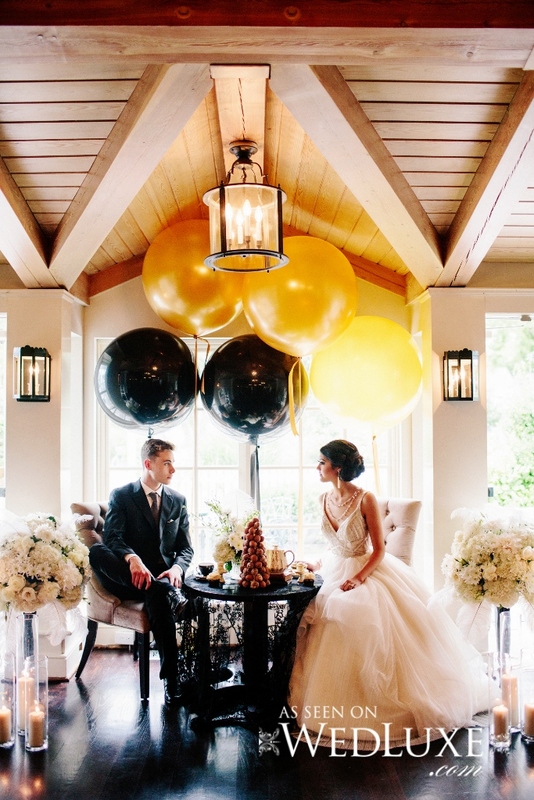 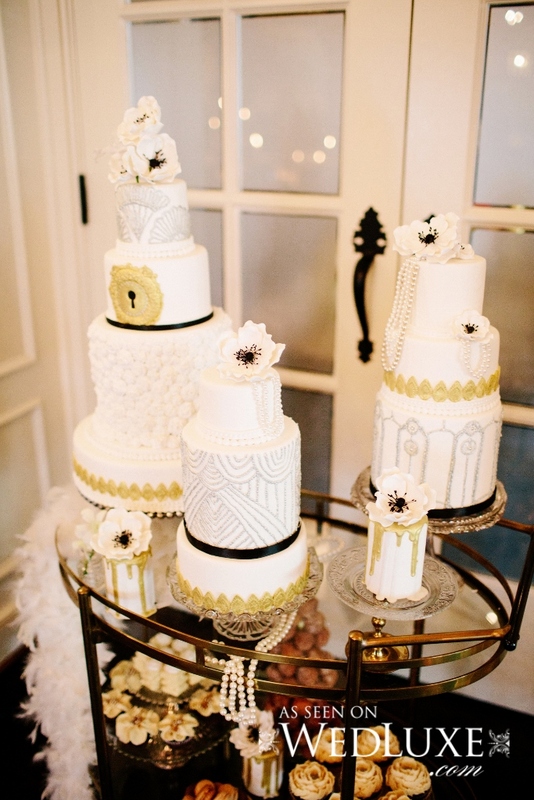 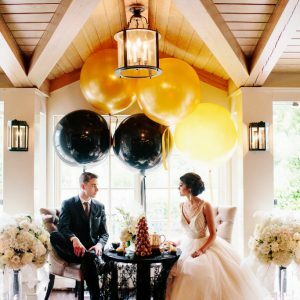 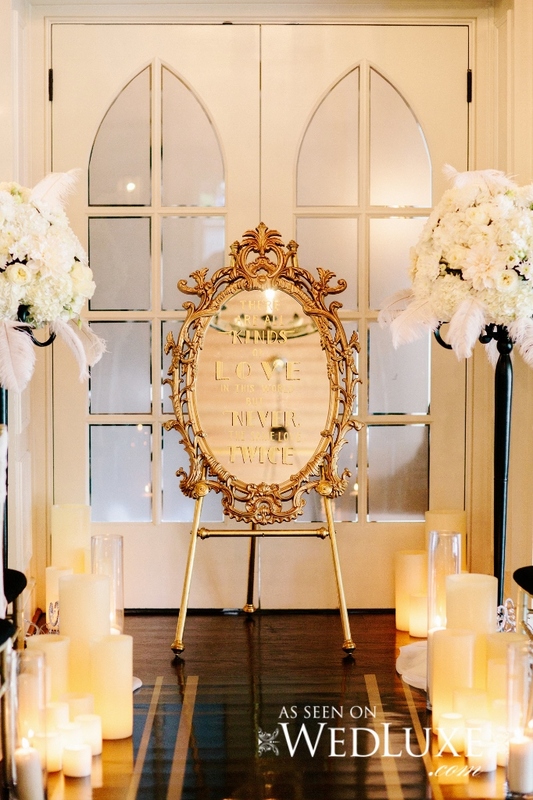 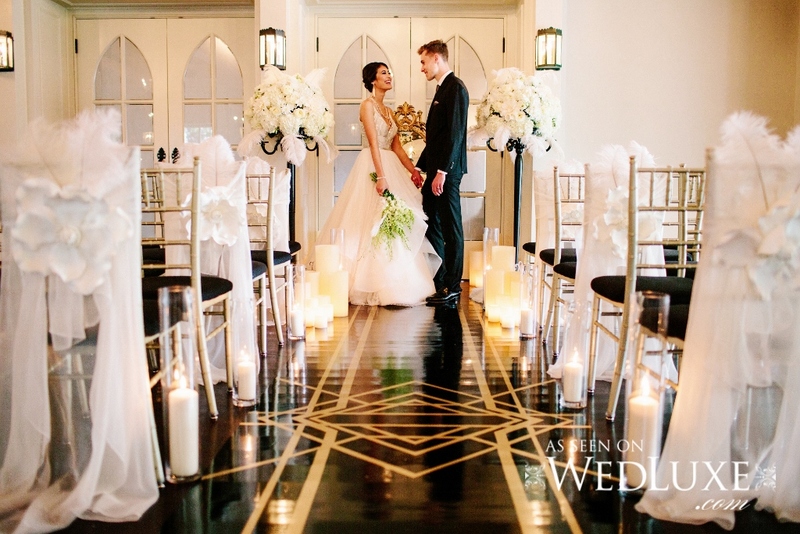 Designed as a tribute to F. Scott Fitzgerald’s timeless Jazz Age tale, the editorial is filled with glam gold, black, and ivory wedding inspiration. 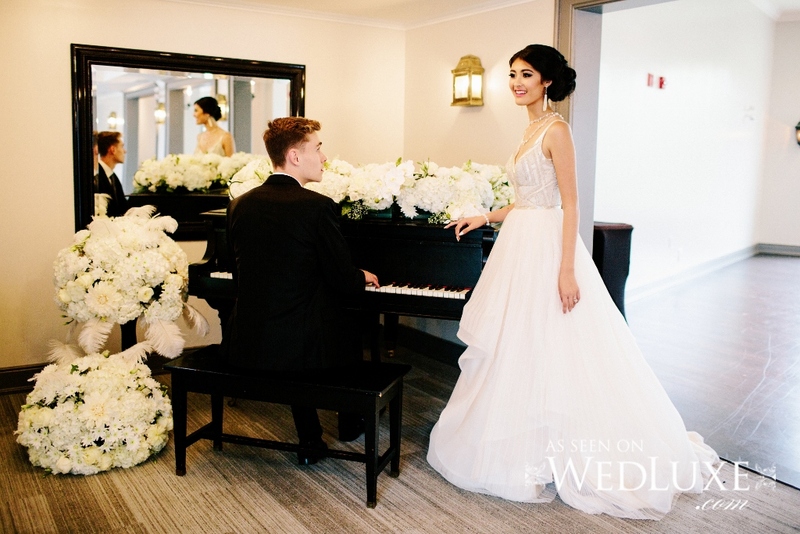 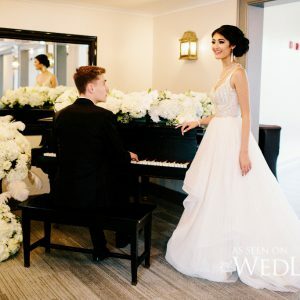 We fell for the vintage meets luxe style details, especially the Hayley Paige gown with crystal beading and the Naeem Khan flapper-style dress with a feathery skirt —a perfect reception dress to dance the night away in!